Stretching from Ferris Avenue in EP and extending through Slater Park all the way to the Daggett playground on Armistice Boulevard in Pawtucket is a beautiful bike path. I had only recently discovered that it was there by exploring some of the side streets in EP in my area. Although only 2.5 miles long but with plans for future expansion, the path meanders around a large lake, wetlands, and woods. It is heavily used by people in the area so certain times of the day are better than others. Yesterday I decided to go early in the morning to have the best chances to see wildlife. Aside from the abundant ducks and geese, I saw a blue heron, kingfisher, 2 muskrats, wild turkeys, and 2 deer. This is the second time I've seen a deer in the area. Aside from the main path, the park is criscrossed with numerous other trails that you can explore on your own. There is even an abandoned intact railroad owned by Providence &Worcester RR. This railroad runs directly behind the Pawtucket Industrial Park on Newport Avenue. On my way back from my hiking excursion, I decided to walk along the tracks .Although the main path is maintained by DEM and remarkably clean and free of litter, I noticed that there are a few businesses in the industrial park that are dumping garbage and a certain type of garbage over their property lines into gullies by the tracks. Even if it they were not the perpetrators and just moved into the building, they should be cleaning their surroundings better. There is also an access point through the industrial park where another gully has become a dumping ground for unwanted appliances and household refuse. I've fallen in love with this place. Perhaps because it's down the road from my house, but this situation has really bothered me. I'm contemplating a letter to the Journal and/or Times about this....I have the names of the businesses and their addresses. Any opinions? Holy crap! it snowed last winter. That's so weird! Looks very nice. I'm jealous. 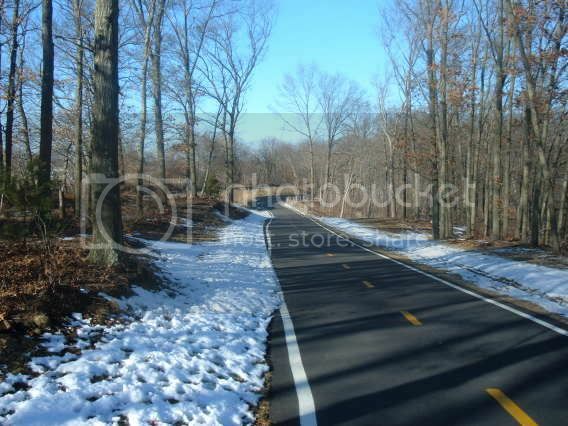 If Providence (or the state of RI) ever has the extra money to spruce up RWP, I'd love to see some trails like that. it snowed this fall. we got like 3 inches. remember? 3 inches? Uhm, no. I must have been sleeping. I love Slater Park and the 10 Mile River Greenway. When I first moved to Darlington I thought the park being nearby was a plus, but I had no idea how much I would come to value it. 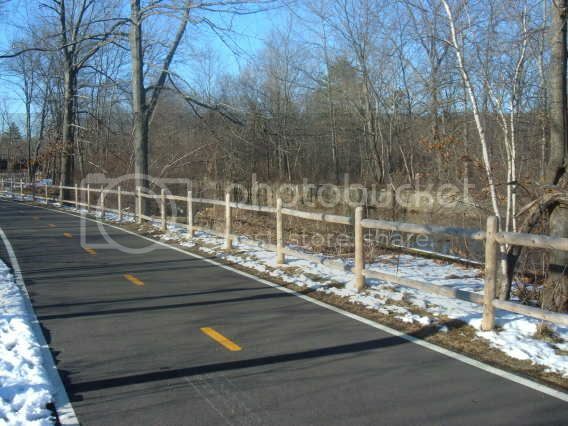 The bike path, while short, can easily be extended by continuing on at either end into the fairly rural regions of Seekonk. It is also perfect for an after dinner stroll. I noticed this summer that the fire pits in the park had been lit (like a mini waterfire); I wish there was more notice of when this was going to happen because I bet it is pretty neat. One thing I miss is being able to get fish & chips now that Hortons is gone though.....you can still get a mean "humdinger" milkshake after your bikeride in the summer though! I'm unsure if the Greenway will ever link to the other state bike paths, but RIDOT has a pretty good webpage for updates. Check out the Blackston Bikeway Segment 3 video for information on how Pawtucket may soon see more bike paths! When I was an intern at RIDOT I did a study to extend the bike path south alongside the East Junction Railroad line, ultimately to connect with the new waterfront developments and then to the new bike/ped bridge on the old Washington Bridge (and of course the East Bay Bikepath at the same point). This was in 2004 and I haven't heard of them pursuing this option at all since then. Supposedly parts of the East Junction were going to be abandoned, which would've helped this even further. 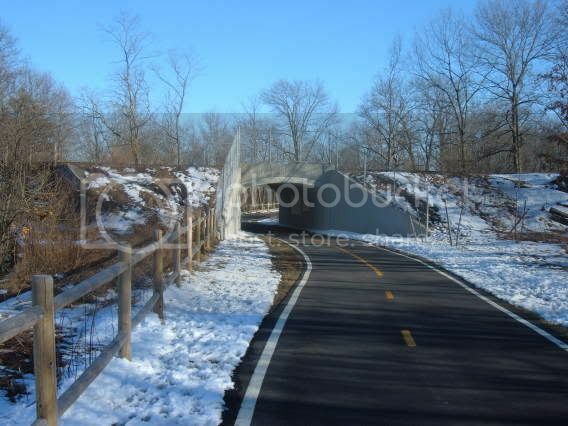 The BikeRI website shows an extension the greenway northward though. That's good to hear. 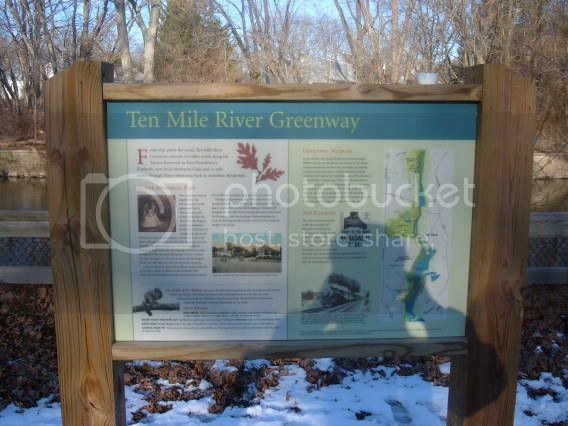 Our draft Transportation plan, out for public comment next week, has recommendations to connect bikeways in SE Mass to the Ten Mile River Greenway and the East Bay spur in Warren. www.srpedd.org - click on "Draft 2007 Regional Transportation Plan", then chapter 12.